Channel quilting is really HOT right now and Joyce Lundrigan has designed a new set of Modular Channel Triangle patterns. We are so excited to be able to share them with you here. The sets include one large P2P base triangle designed with a pattern and channels on each short side, plus six smaller, interchangeable, triangle patterns to set inside. to fill a block or set alternately to fill a border. Small triangles can be used on their own. and matched from one set to another. triangle to coordinate with other patterns you might be using. 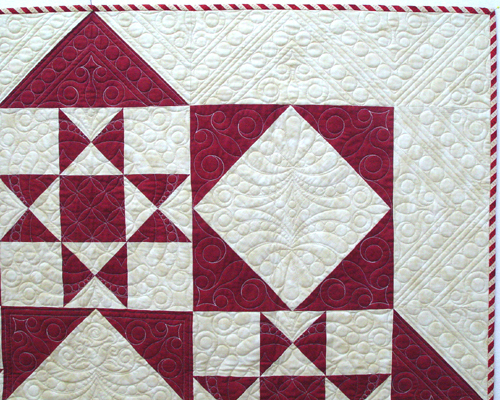 Check out the beautiful quilt and graphics below for more design ideas. Each set of patterns includes an instructional pdf to help you get started. Contains two MD triangles and 6 inside motifs. Patterns, plus instructional PDF to show how to combine them. combined to make a block and used on point for a wholecloth quilt. 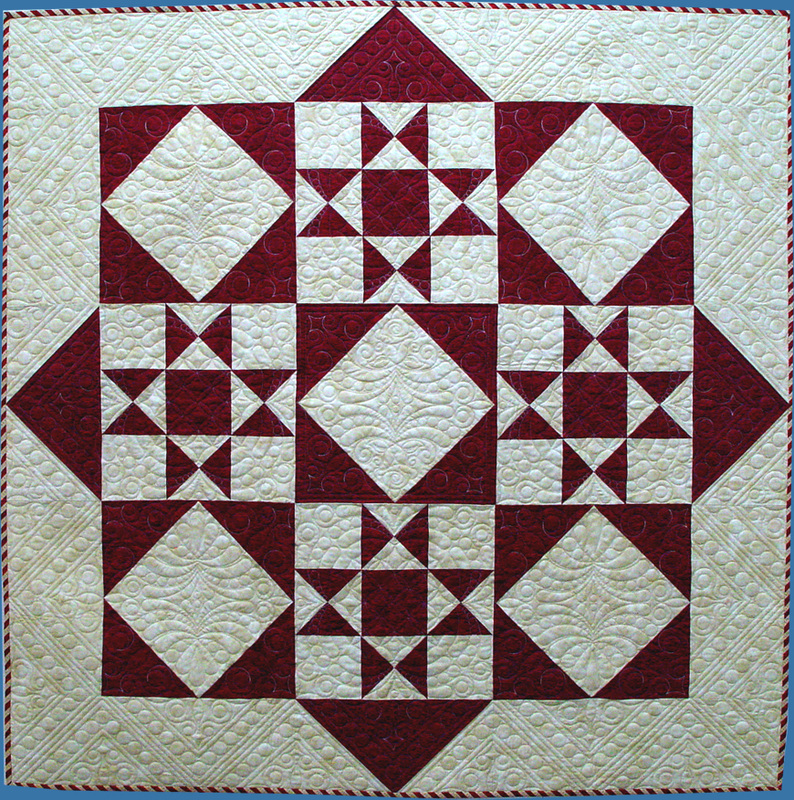 Channel Crosshatch & Stars used as a border.